Short swivel aluminum shank bit with medium bowed port steel mouthpiece with copper inlays. 7 1/2 - 7 3/4 cheek piece measured from top to bottom. No pinch where the mouth and cheek meet - there is a sleeve for protection. 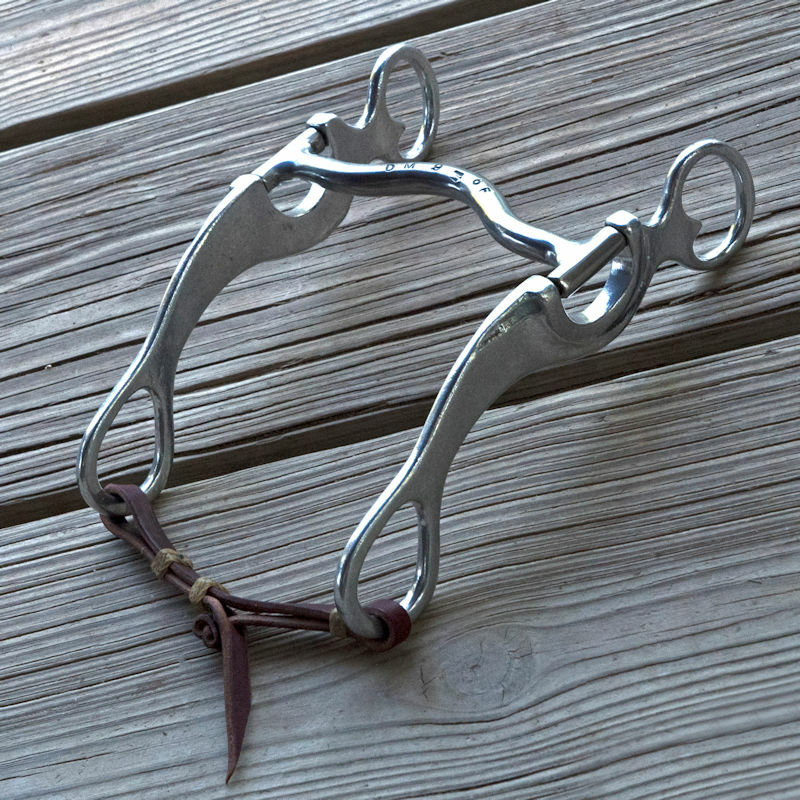 With the bowed port, this bit lays well in the horse�s mouth.